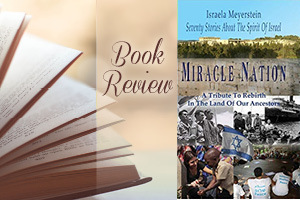 "Miracle Nation: Seventy Stories About The Spirit Of Israel" captures the epic story of the miraculous rebirth of the modern Jewish nation in 1948 and its growth until today, bound up in the varied realms of religious fervor, social justice, political perspectives, and scientific discoveries. These passionate and powerful stories of individuals provide the framework for the reader to clearly see how it is possible that ordinary Israelis, in revealing just how extraordinary they really are, exemplify the Biblical command to be a "Light unto the Nations." Israela Meyerstein's collection of stories provides the clarity of how and why the Jewish state has not only survived, but thrived through its many years of adversity. Not only is this book a powerful reminder of the many connections that Jews and non-Jews alike have for the modern Jewish miracle, but it is also a reminder of the 2000-year-old steadfastness of the Jewish People to once again live in the Land. What is the story of your relationship with Israel? 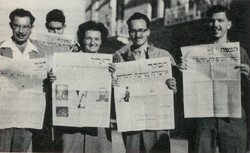 Do you know Israel from visiting, having relatives there, volunteering or studying, or only through the news? What feelings are evoked in you when you hear or sing Hatikvah? 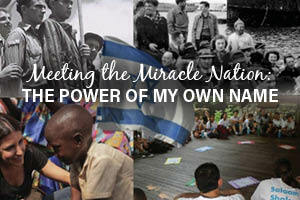 Do you view Israel’s birth as a miracle? Why or why not? Do you think Israel has a mission as a “chosen people?” In what ways does Israel fulfill its mission as a light unto the nations? Why do you think Israel has so many humanitarian startups? What aspects of tikkun olam inspire you the most and attract you? How can efforts to protect the environment lead to peace? Do you think peace can “bubble up” from the ground by people to people efforts? Why do you think Israel is so involved in rescue operations around the world, often arriving the first on the scene of a natural disaster and staying the longest? What can help a person develop a more inclusive attitude to those with disabilities? What are the long-term benefits to society of caring for the less fortunate? Why does the Bible repeat “Remember that you were strangers in the land of Egypt” 37 times? What technological advances in Israel make you most proud? Do you consider sharing the technologies with the world a modern day example of being a light unto the nations? What aspects of Israeli society do you think require attention to become more just and equal? Can one be critical of Israel and still be a Zionist and lover of Israel? Do you believe that dialogue and shared experiences can bridge gaps between people, create more respect and tolerance, and affect attitudes toward the other? Do you believe that peace can “bubble up” from the ground? What should Israeli and Palestinian people and leaders do more of to bring about peace? The Reading Israel Book Club: Bring us to your community and be inspired! Throughout the year, the Reading Israel Book Club of Israel Forever brings you a new literary delight to grow your Israel connection through the written word. We hope that you enjoy our selections and participate in discussion not only with your friends and family but with an international community of readers in our open discussion group on Facebook.